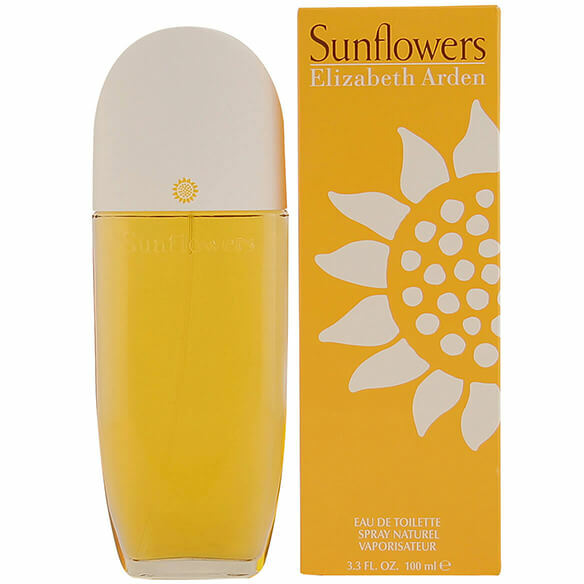 You'll be sure to receive compliments galore with Elizabeth Arden Sunflowers women's perfume. It's a day-to-night perfume that smells great on anyone. Fresh, clean and sensuous combination of florals and fruity notes with a little hint of moss. Perfect for summer days and bright enough to shine on those dark winter days. Features top notes of Bergamot orange, sweet melons, osmanthus and peach, middle notes of Indian jasmine and primrose and base notes of Moss and sandalwood. 3.3 fl. oz. EDT Spray. No express shipping. No shipping to PO boxes.